Yep, this book is almost 1000 pages, but I loved every page of it! Vanda Krefft has restored to us a lost history, an early world of actors, movies--and scheming and connivance among studio bosses. 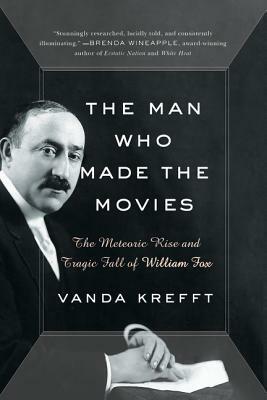 And at the start of it all, and the center of it all, was William Fox, who truly believed in the movies. He had a vision of creating the most powerful movie-making, theatre-owning company on the planet, and he came within a hair's breadth of doing it. You would think early and silent movies were small affairs, but no—they were creating elaborate city-sized sets even then. And big actors and big releases obsessed the world just like now. Here's your summer read! Vanda Krefft is a former magazine and newspaper journalist who has covered the entertainment industry for publications such as Elle, Redbook, Woman’s Day, and the Los Angeles Times. She has a BA in English and an MA in Communication, both from the University of Pennsylvania, and is a member of Phi Beta Kappa.